Fear the Walking Dead said goodbye to another series regular Sunday night, and the cast has opened up about it. Get all the details right here. Are you ready to Fear The Walking Dead? This spinoff premieres on August 23 and here are 10 things you can expect from mit. Check out these photos from Fear the Walking Dead Season 1 Episode 1, "Pilot." Ready for this wildly anticipated series to premiere? Nick: There was blood all over her mouth, and then she came at me. Travis: What did she do? Nick: She was eating them. She was eating them. Permalink: She was eating them. She was eating them. If there’s a problem, we’re gonna know about it. The authorities would tell us. Permalink: If there’s a problem, we’re gonna know about it. The authorities would tell us. 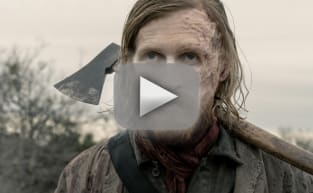 Fear The Walking Dead Trailer: Can the Gang Defeat Flying Zombies?! Fear The Walking Dead Season 4 Trailer: Welcome, Morgan!